What is involved in selling a house? One thing guaranteed in life is change. Marriage, kids, divorce, job changes, empty nests, death. All these events can be highly emotional times which also prompt a move. When the time comes for you to move on, working with Kathy helps alleviate your stress level, so you can focus on packing. 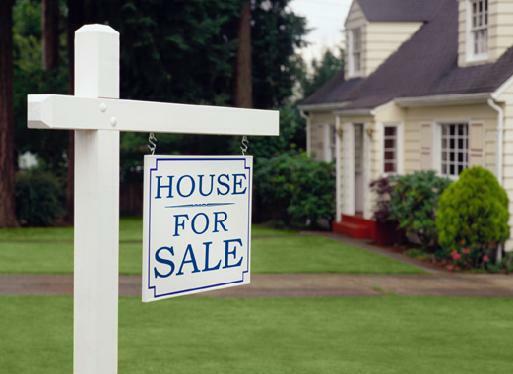 Selling a house takes more than planting a sign in the front lawn. In fact, it takes a lot more. Below are the steps necessary to ensure the house gets sold quickly and at a good price. Determine WHEN and WHERE you need to move so a time line and planning checklist can be created. Preparing your property, before it goes on the market, helps you sell for a higher price and gets your house sold faster! Preparation is a major investment in time and elbow grease that includes cleaning, repairing, de-cluttering, staging, photography and keeping the house in model home condition throughout the selling process. Unfortunately, for home sellers who skip this important step, it results in a longer time on market, or worse yet, the house not being sold at all! To ensure a timely sale, the house must be competitively priced. This requires conducting research which should be reported to you in a CMA (comparative market analysis). The danger of overpricing your house is it can drastically reduce the buyer pool that results in your house sitting on the market longer. The longer a property sits on the market, the buyer’s perception is “there must be something wrong with the house and that’s why it hasn’t sold,” and so potential buyers don’t even bother coming to see the house. The lack of showings then drives the need for price reductions. The ultimate danger, of course, is the house doesn’t sell at all! The danger of pricing your house too low is, although it may get sold faster, it also leaves money on the table that should have gone in your back pocket. The price you ask can make or break a sale. Correct pricing, based on current research, is critical to a speedy sale that brings you the most profit. The key to effectively pricing is setting it at, or slightly below, other homes that have recently sold in your area. This encourages bidding wars, that drives the price up! If you want to make more money from the sale of the house, the ideal situation is a bidding war between buyers. So how do you reach the most buyers? Once you reach them, how do you grab their attention? Kathy lists your home on the local MLS, as well as the state-wide MLS. In addition, it will also be found on YouTube, Facebook and over 50 other websites. If needed, it will also be scheduled for open houses and property caravans. Everything is negotiable in a real estate transaction and rarely is an offer accepted as presented. Price is only one of the many conditions that need to be agreeable to both parties. Having an experienced agent who fights for your best interests and outcome is crucial to your satisfaction with the sale of the house. The devil is in the details. Although the paperwork is now digital, there’s still a ton of contracts, forms, amendments and other things that need to be completed accurately and submitted to the correct parties by deadlines, to ensure a timely closing. Once inspections are complete, and all contingencies have been satisfied, your agent will let you know so you can start packing. Your closing will involve signing many documents and should take no more than one hour. At the end, you will release your keys, and within a few hours to a few days, depending on the service provider/title company, the funds will deposited into your account, or a certified check issued to you.